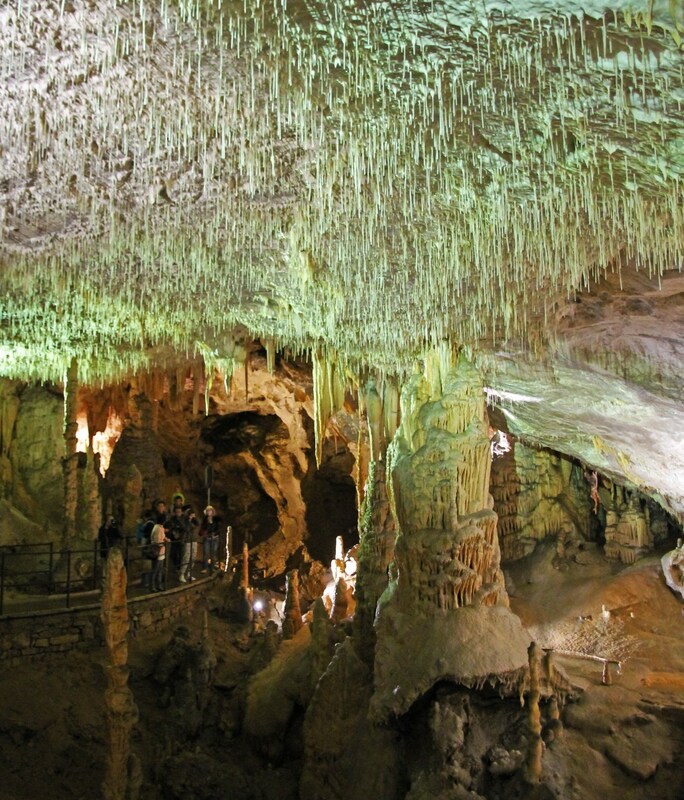 What is the most impressive cave in Europe? Part 1. 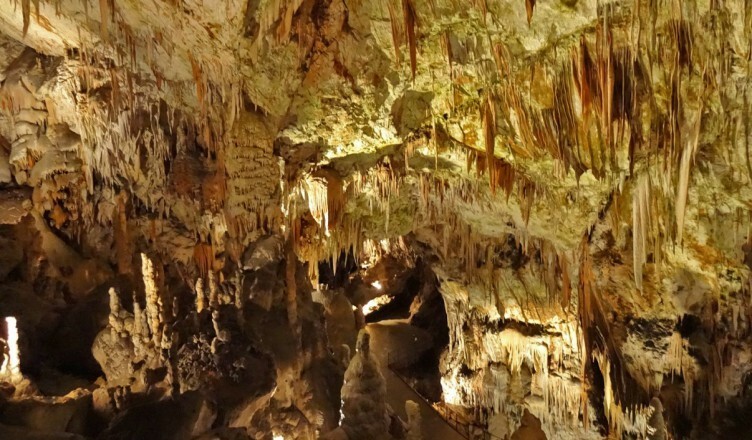 Last year, we went to the caves of Han-sur-Lesse in our home country (Belgium) and although I’ve been there several times before, I was surprised how beautiful they actually are. 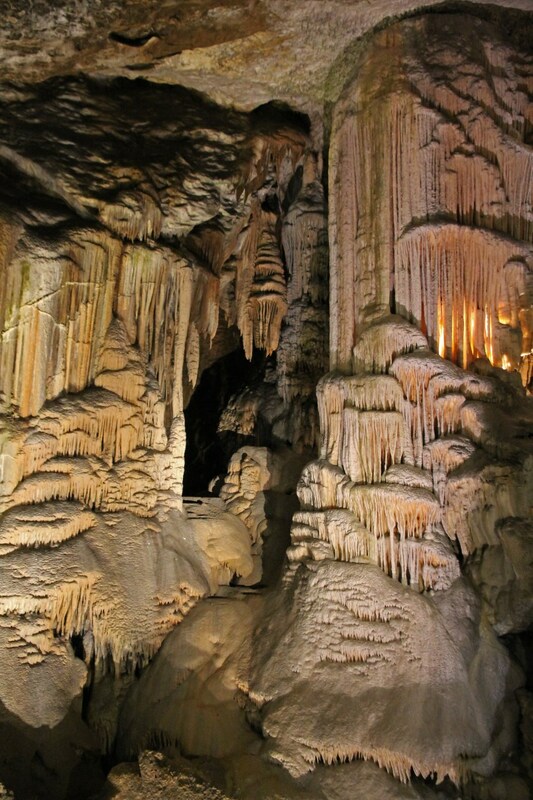 I can’t say we’ve visited many caves during our travels, but those in Han-sur-Lesse are really worth a visit! 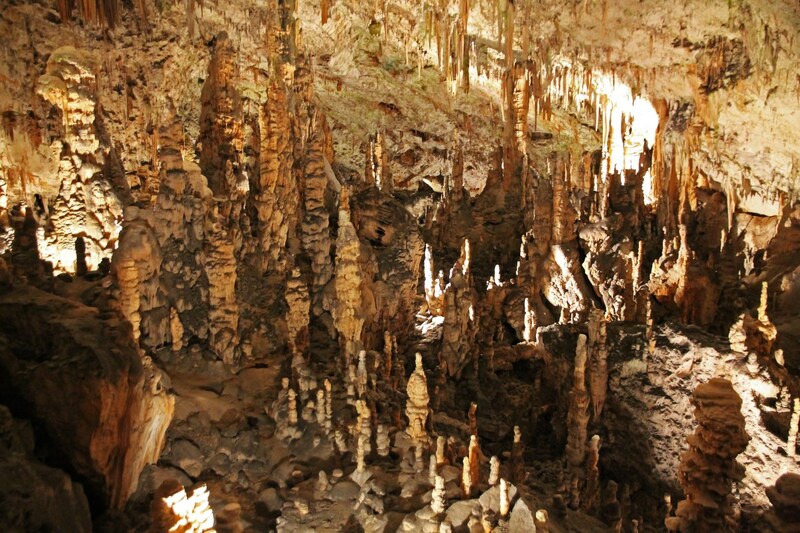 In retrospect, I also remember that, in 2013, we went to a very small cave near Alghero (Sardinia, Italy), but the boat trip to get there was actually more exciting than the cave itself. But then, in 2015, we went to Slovenia. 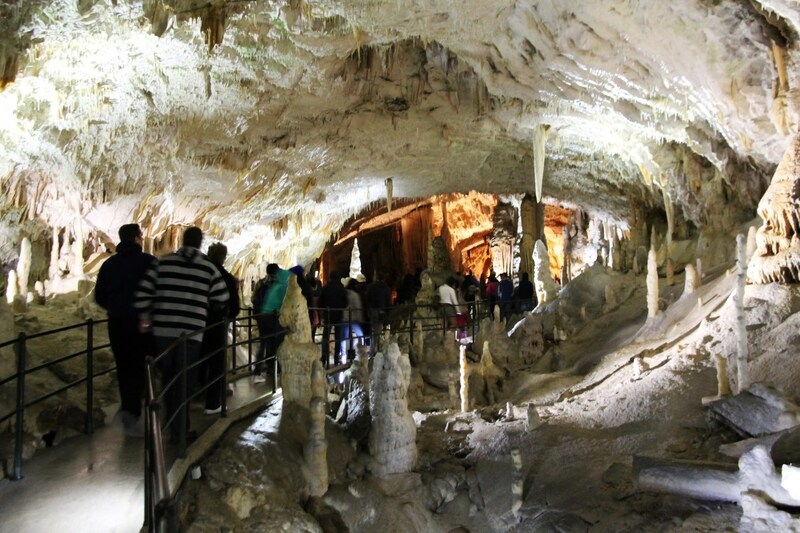 This country is home to the Kras or Karst region, the very type location of a geological landscape type called karst, which results from the erosion of large-scale limestone deposits by slightly acidic rainwater. This interaction produces a number of typical features, such as cave networks, sinkholes (when a cave collapses), and springs. 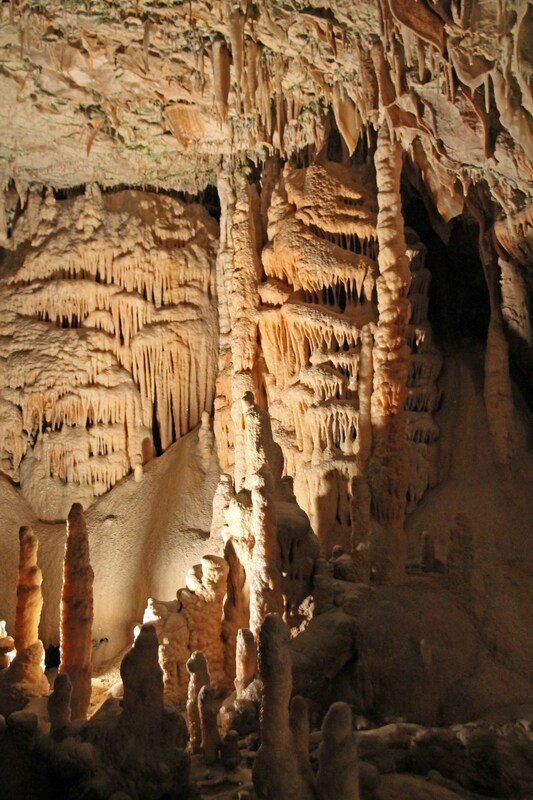 Surely, if there is one place in Europe to look for magnificent cave systems, it’s here. And Slovenia definitely has lots of them! 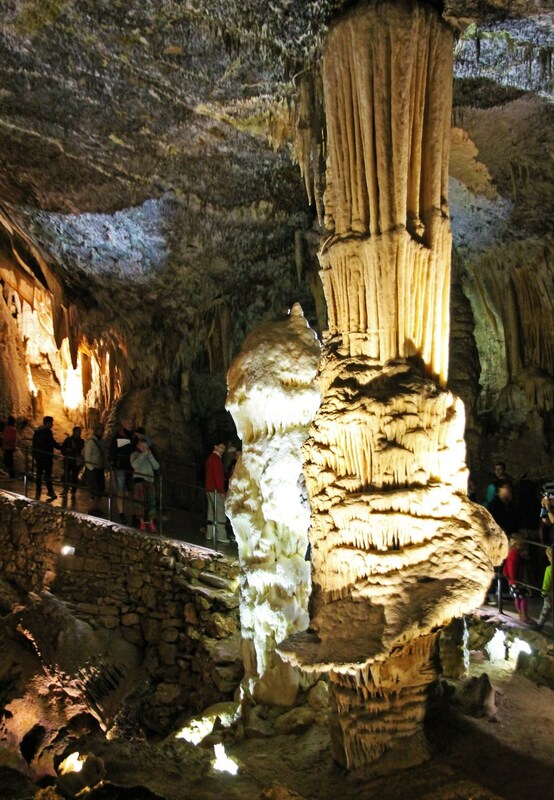 However, Slovenia also has a myriad other experiences on offer, so we decided to stick to the Big 2 of Slovenian caves: the Škocjan Caves (Škocjanske jame) and the Postojna Cave (Postojnska jama). 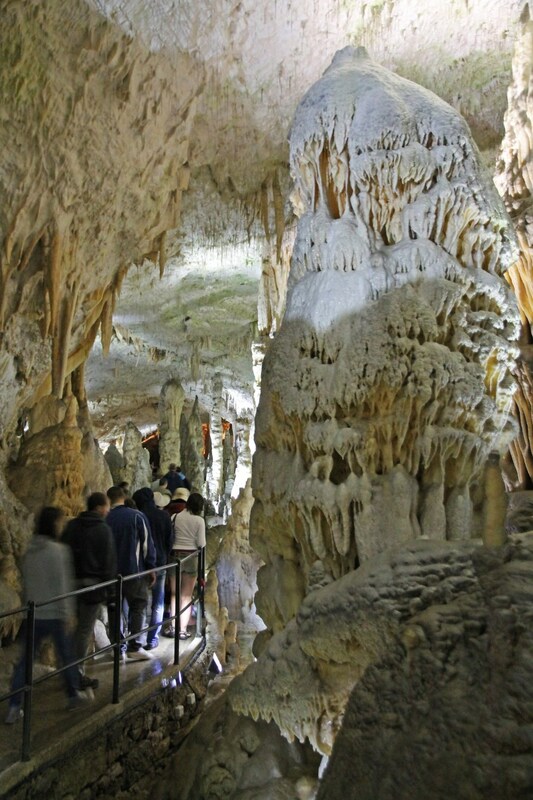 In this blogpost, I will take you on a journey through the Postojna Cave, Slovenia’s most popular tourist attraction, after Lake Bled. 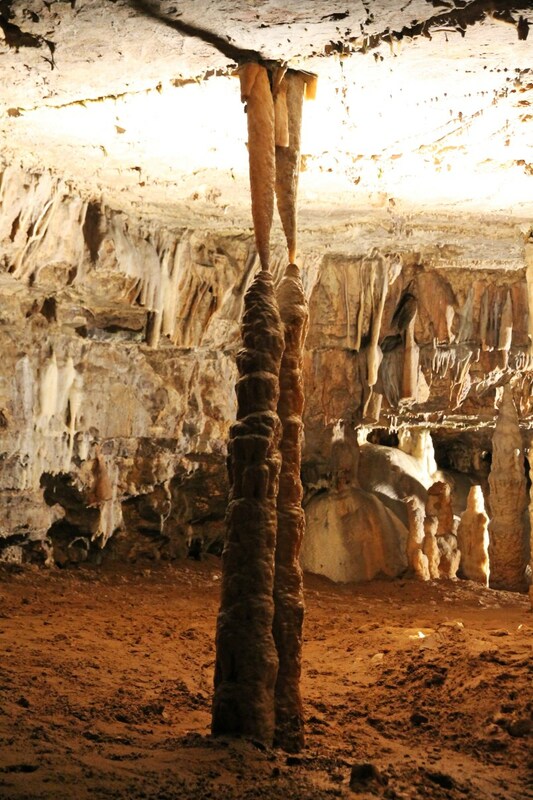 Its popularity can easily be derived from the multitude of roadside billboards recommending this cave all over the country. Welcome to the cave complex. 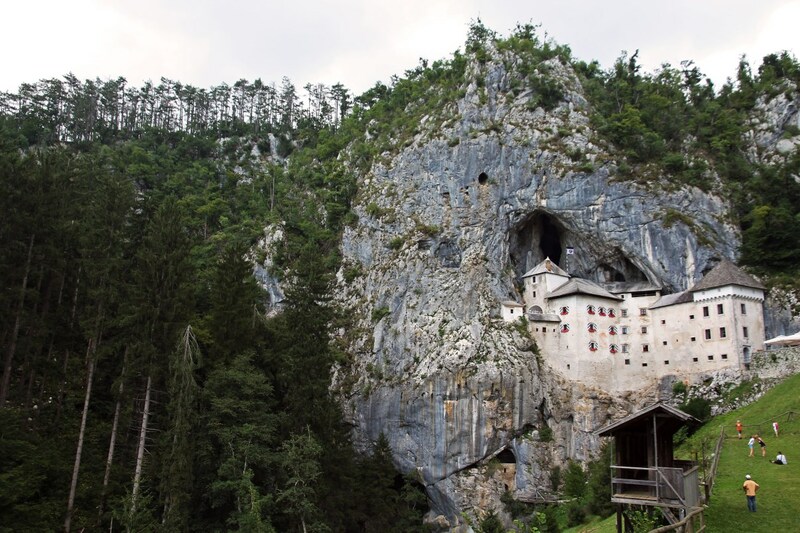 the extraordinary Predjama Castle, which is located nearby. Ok, let’s be very clear about this: skip the vivarium! Even though it’s usually included in the price of your ticket, it really isn’t worth a visit. The vivarium is located within a cave, which is pretty nice, but it’s very small and most animals ( a selection of cave-dwelling species) can’t be seen because they simply are hiding. When we visited it, the lights of most of the aquaria/terraria were broken, so we had to use the flashlight of our mobile phones, which actually isn’t very good for these darkness-loving animals. I must say that I was looking forward to seeing the Proteus in its natural environment, but I could barely see it, and taking a photograph of it was just impossible in this darkness. This was really unfortunate. 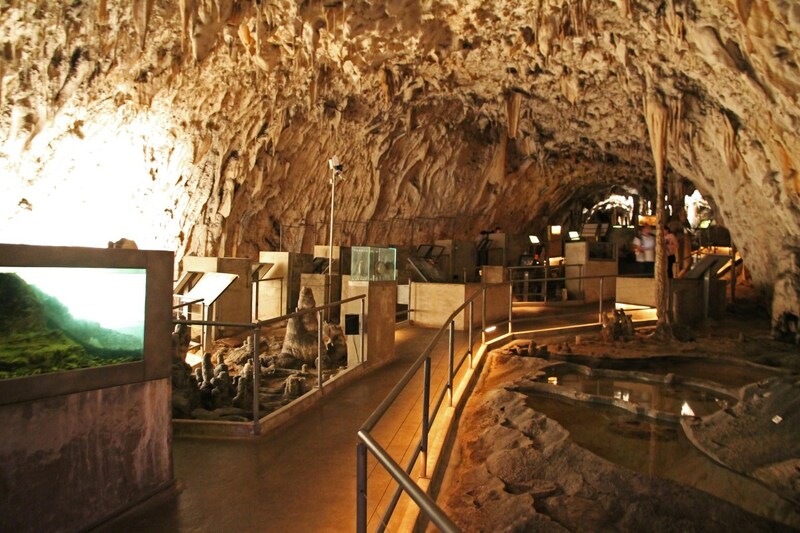 Another reason to skip this is that at the end of your visit to the Postojna Cave you pass by a much bigger tank with Proteus, that are easier to find as well. 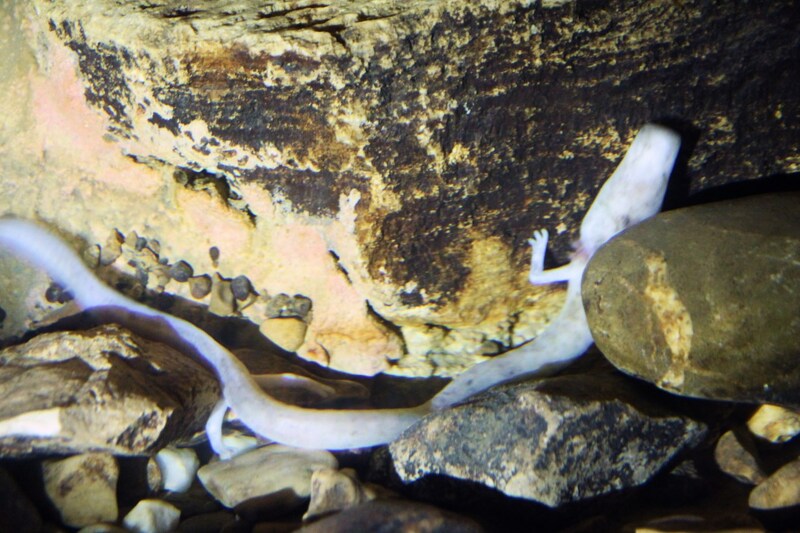 Best picture we have of the olm (Proteus). 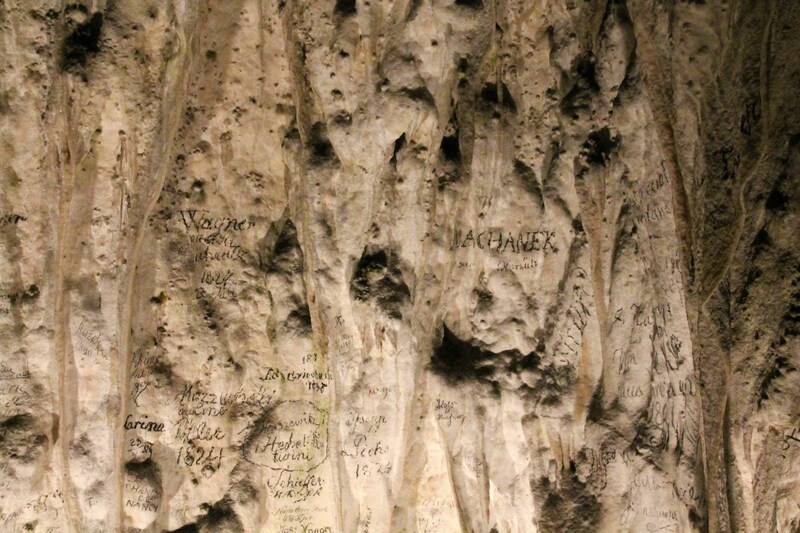 19th-century tags (walls of the vivarium). 2. Visit to the cave. What a thrill! Now, I do understand why it’s advertised along each road in Slovenia and why this place has a separate tour for Japanese tourists. This truly is a major highlight! OK, it gets pretty crowded, but this cave is so big you could squeeze a full flight of tourists in and they would still get lost. But the experience is great, and kids will love it. 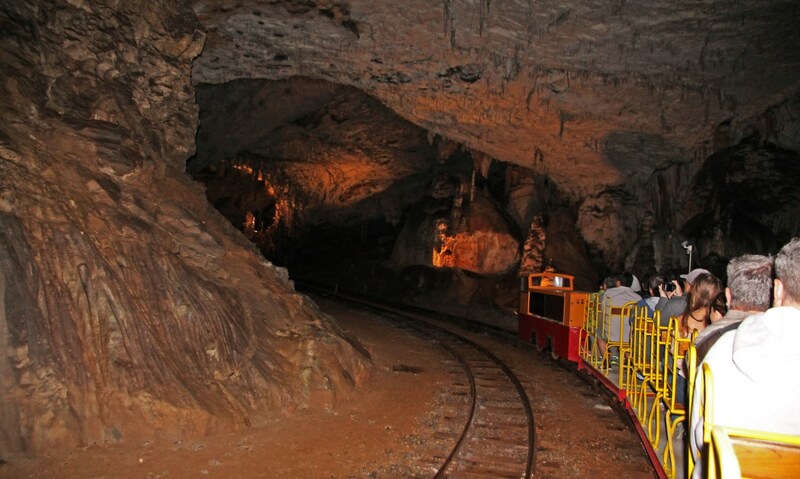 First of all, you board the electric minitrain on an exciting 4km ride deep inside the cave, passing by numerous beautiful halls. This is followed by a 1700m walk that takes you from the one jaw-dropping experience to the other. 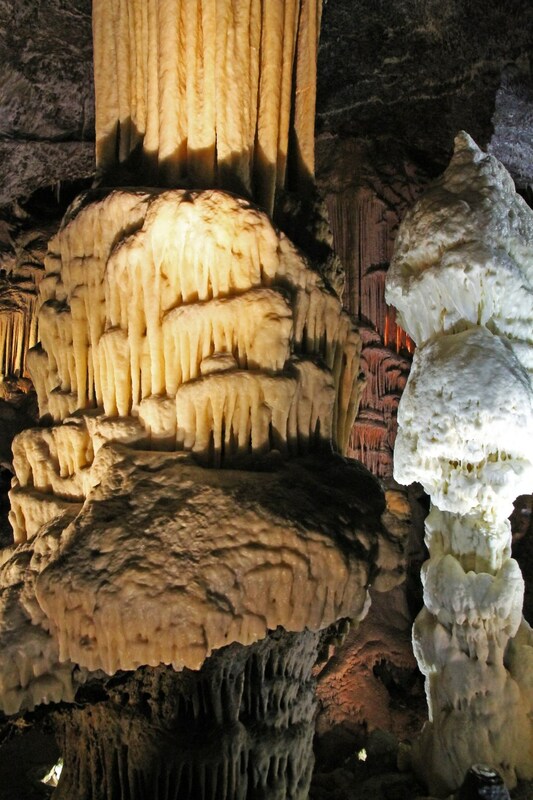 It’s as if each dripstone, each stalactite, stalagmite, column or curtain competes to be the biggest, the most beautiful or the most bizarre. 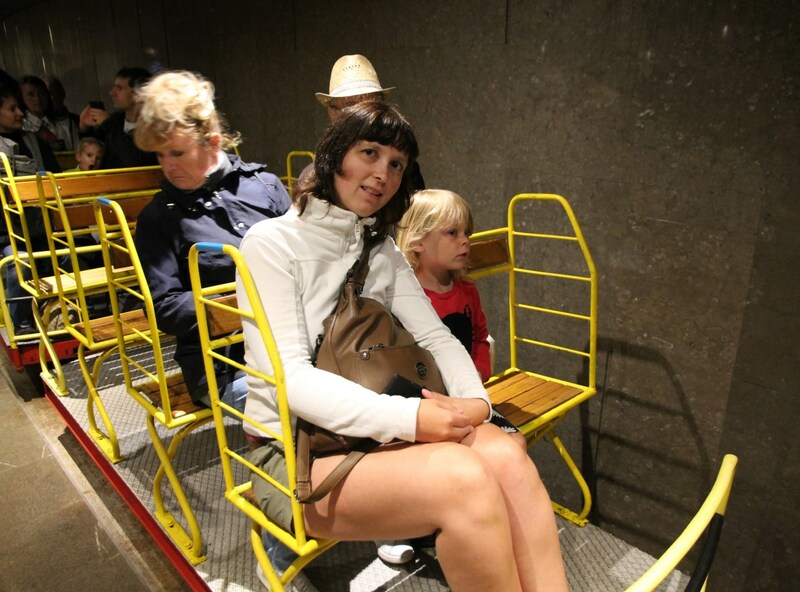 The 4km train ride was big fun! The White Hall. It clearly has a very fitting name. Each corner has its own beautiful combination of rock formations. 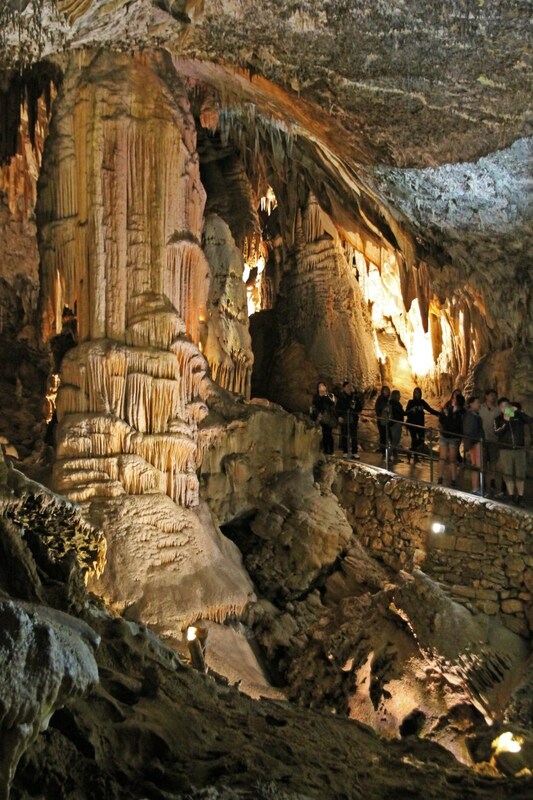 Brilliant Passage, featuring the Brilliant stalagmite, symbol of the Postojna Cave. When you visit, come prepared for a constant temperature of 8°C (46.5°F) and a humidity of 95%. 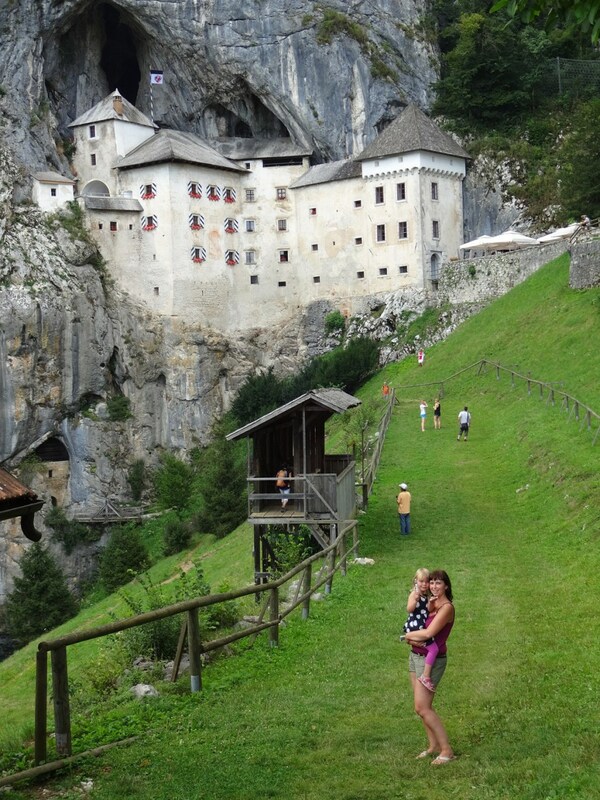 Only a 10km (15min) drive from the cave, the Predjama Castle is a wonder to behold. Seemingly swallowed by the rock it is built against, this 16th-century building is a textbook castle, including the inevitable dungeons and a drawbridge. And, of course, it is connected with an underground cave system. We didn’t go inside (it had been a busy day already, and Febe gets easily bored by castle interiors), but it definitely is worth a detour. Predjama Castle, built partly in the rock. Posing in front of the castle. 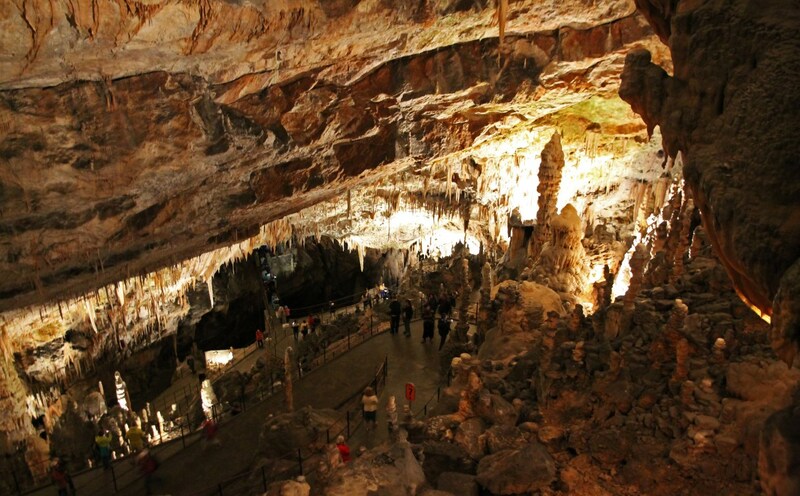 Whether this is the most beautiful cave of Europe is something we can’t decide upon (we simply haven’t seen enough other caves), but in our next blog post we will do the comparison with that other underground marvel: the Škocjan Caves. 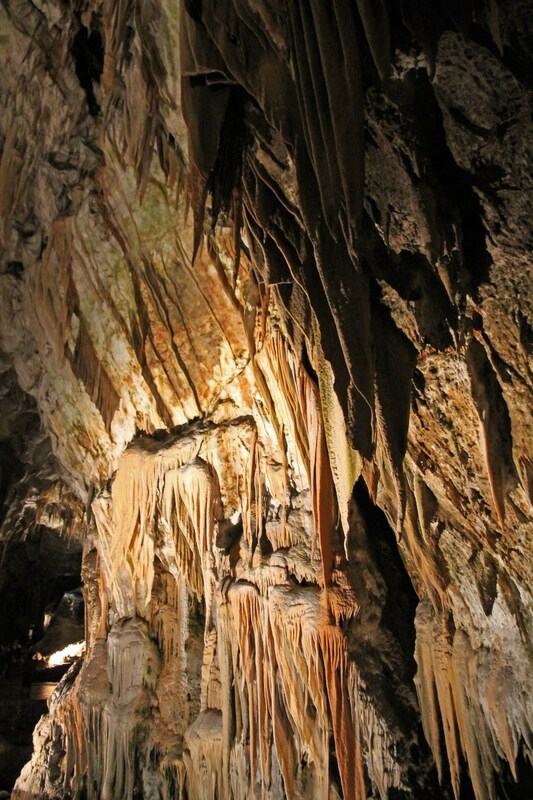 At least, I can say that it is my personal opinion that the caves in our Belgian Han-sur-Lesse are comparable with those in Postojna in terms of beauty, but the sheer size of the Postojna cave is simply breathtaking and unique!